If you want to get a sense of how art goes hand in hand with political activism, spend a little time with Emory Douglas and Ericka Huggins. 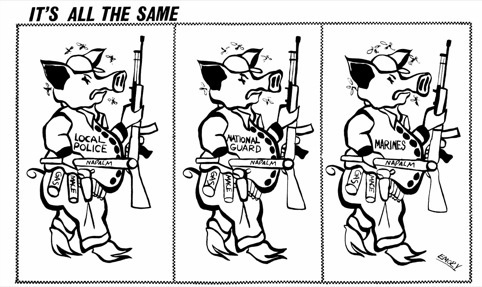 As “Minister of Culture” and a lead graphic artist for the Panthers, Douglas created striking images for the party’s weekly newspaper, like a famous ink drawing of an angry-looking pig dressed as a cop, armed to the snout with a baseball bat and canisters of tear gas and mace. “It symbolically represents the police themselves in relationship to their bad manners in the community,” says Douglas, who joined the party in 1967. “The Black Panther Party always had art, music, dance, even fashion, as a way of thinking about how we shift cultural awareness,” says poet, educator and activist Ericka Huggins, who joined the organization when she was 18. Beyond helping to shape the public’s views around issues like racial discrimination and police brutality against black Americans, Huggins says art also brought in much-needed bail money and helped pay legal fees as Panthers increasingly found themselves on the wrong side of the law. Rock bands like the Grateful Dead, and the Panthers’ own funk group, the Lumpen, performed benefits for party members like Bobby Seale, who was charged with inciting a riot following the 1968 Democratic National Convention in Chicago. As the Black Panther Party celebrates the 50th anniversary of its 1966 founding in Oakland with a slew of cultural events ranging from major museum exhibitions to concerts to underground dance shows, artists observe how little things have changed in five decades for black Americans. 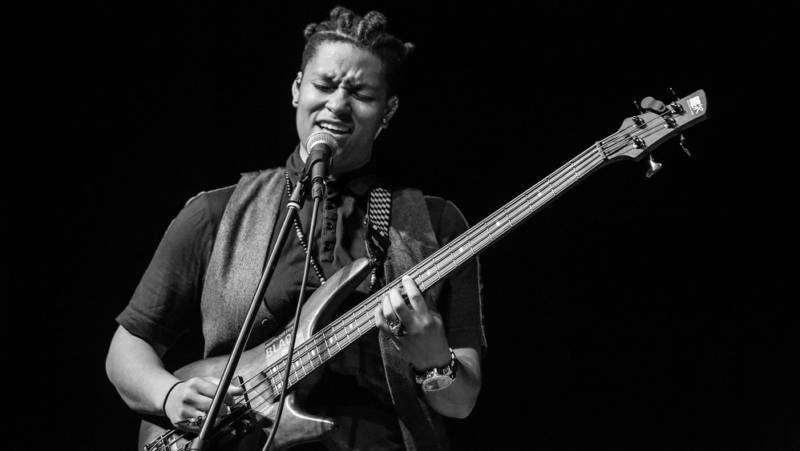 “The year marker might be different, but the conversations are much the same,” says Oakland musician and activist Jay-Marie Hill, who plays with the band Reverend Sekou & the Holy Ghost. Bay Area artists like Hill are riffing off the Panther’s legacy to create art aimed at inspiring a modern-day revolution. The musician didn’t start out paying much attention to the Panthers. “I wasn’t connected to the history of black activism even as I grew up in the Bay Area,” Hill says. But struck by the near-constant barrage of news about Black Americans being shot and killed by police, she decided to devote herself full-time to making protest music. You can hear it in Hill’s forceful song, “We Comin’.” With lyrics like “No more water / Fire next time / If we don’t get no justice / You don’t get no peace’a mind / We ready / We comin,'” the song, Hill says, is inspired by the Panthers’ insistent call to action; their refusal to sit around. I met many artists who feel the same way as Hill, and are also using the Panthers’ 50th anniversary as a way to refocus attention away from men and onto women. Women made up the majority of the Party’s membership, and did a huge share of its positive work in the community. Those are facts that some arts organizations want to make plain. The curators at Impact Hub Oakland, a co-working and creative space in the city’s Uptown neighborhood, commissioned six local contemporary artists including Karen Seneferu and Ain Bailey to contribute art to Sister Comrade, a multimedia installation honoring some of the most prominent women of the Black Panther Party, such as Elaine Brown, Tarika Lewis and Huggins. 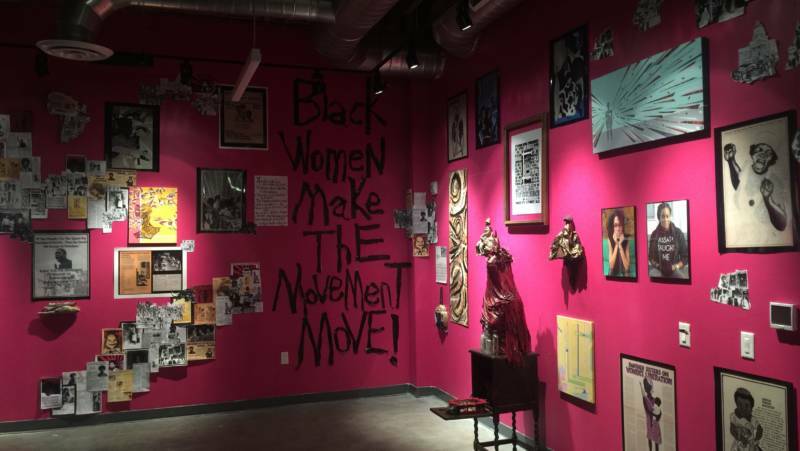 The installation is part of Survival Pending Revolution: Black Panther Party 50, a larger series of programs at Impact Hub featuring archival material and Panther-related talks and other events. “We’re looking at the legacy of the feminine divine and women’s voices and making decisions that impact everyone,” says Ashara Ekundayo, who runs Impact Hub Oakland. 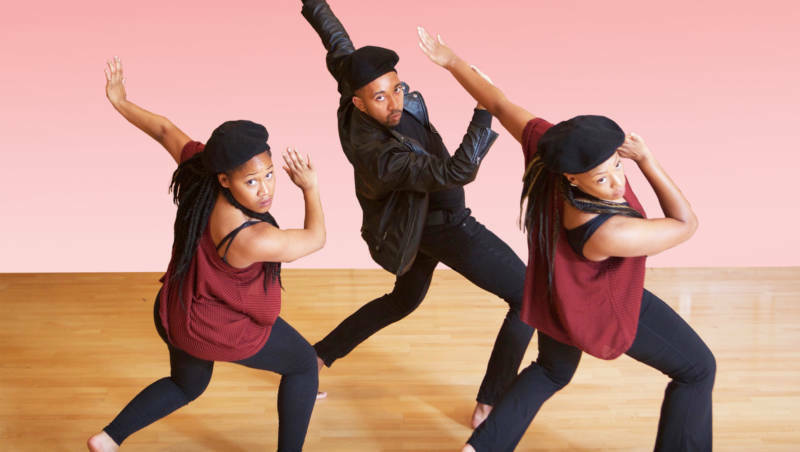 Meanwhile, the members of Dimensions Dance Theater, also based in Oakland, are presenting a new version of Project Panther, a theater and dance piece the company initially created in 1996 in honor of the Panthers’ 30th anniversary. This time around, though, they’ve added a female actor for the upcoming performances at the Malonga Casquelourd Center for the Arts in downtown Oakland. Another critique levied by modern-day artists against the culture surrounding the Panthers has to do with the glorification of its leaders. Party celebrities like Huey Newton, convicted of manslaughter charges in 1968, were frequent targets of FBI investigations and the focus of much of the controversy surrounding the Party. As a result, many artists now want to look at the important role ordinary people played in furthering the Panthers’ mission, rather than on its figureheads. “I would call it adding a dimension to the Panthers’ story that really hasn’t been told yet and that’s the viewpoint of the rank and file members,” says photojournalist Bryan Shih, co-author, along with historian Yohuru Williams, of the new book of portraits of still-living Panthers, The Black Panthers: An Unfinished Revolution. “The effect of the portraits is to really humanize people that I think have been really demonized,” Shih says. One of the many striking portraits in the book is of Richard Brown. 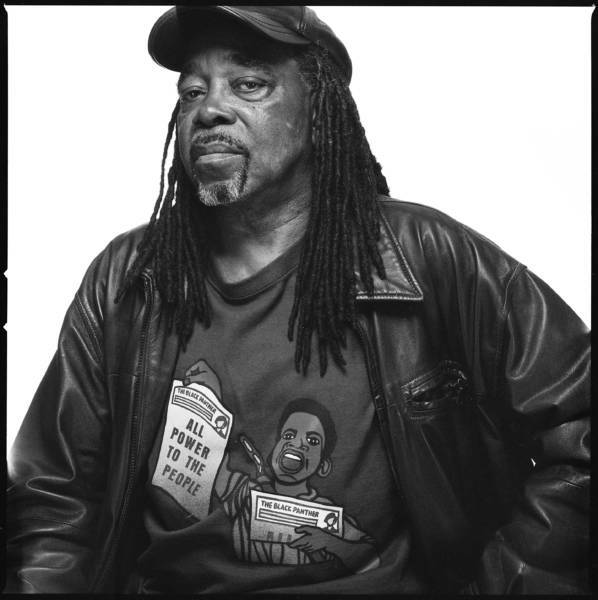 Brown was a coordinator of Black Panther jobs and education programs at a San Francisco community center. In the photo, taken recently, the 75-year-old wears a leather jacket and a T-shirt bearing the slogan “All Power to the People.” Brown stares at the camera knowingly — daring us to take up the revolutionary mantle. If you want to follow in Brown’s footsteps, a good place to start your schooling is at the Oakland Museum of California’s new exhibition, All Power to the People: The Black Panthers At Fifty. Among the many artifacts and artworks on display, the exhibition includes 39 of Shih’s portraits. 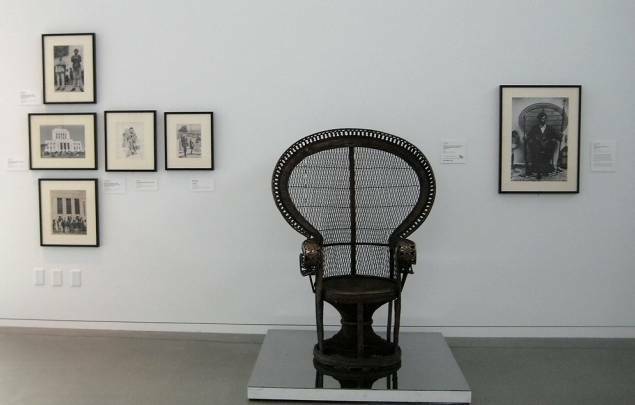 But the first thing you’ll come across as you enter the galleries is a bronze replica of an enormous wicker chair. 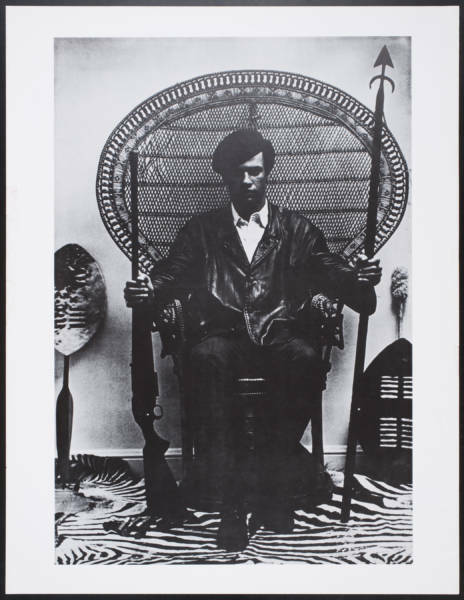 This is artist Sam Durant’s rendering of Huey Newton’s throne in what has become perhaps the Panthers’ most iconic image. Step up. Take a seat. Have a think. These artists hope you’ll take cues from the past to build a better world for the future. See our guide for a full list of events, exhibitions, performances and conferences around the Bay Area commemorating the 50th anniversary of the Black Panther Party’s founding. The national Here and Now program also aired a version of this story on Friday, Oct. 14. Listen here.